Dinosaurs you can really get close to. 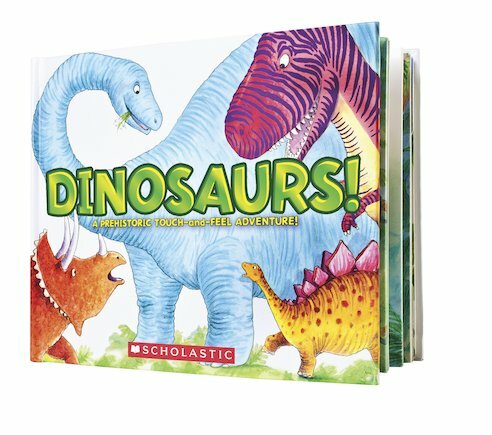 Touchy-feely dino friends plus lots of simple facts. Give us a big roar. We know you love dinosaurs. Say hello to all your favourites in this colourful novelty book. Reach out and touch a T-Rex. Stroke a stegosaurus. Feel bumpy scales, touch feathery wings and press a spiky tail. Fun dinosaur facts, cute colour artwork and simple profiles. Who said ‘extinct’? It’s dino playtime.